Allah the Almighty has always showered His blessings on any work that is initiated by the Khulafa of Ahmadiyyat. With very humble beginnings, every project sees the heights of success. Praise be to Allah. Now, we have two mosques in Spain that serve as beacons for those in search of truth. The press and media show great interest in visiting our mosques, thus enabling the message to spread throughout Spain (or all over the world) through their websites and social-media. The Jamaat is known all over Spain and the missionary activity that takes place under the auspices of Hazrat Khalifatul Masih Vaa makes it possible for the message to get to the general public. But things were not the same at the start. 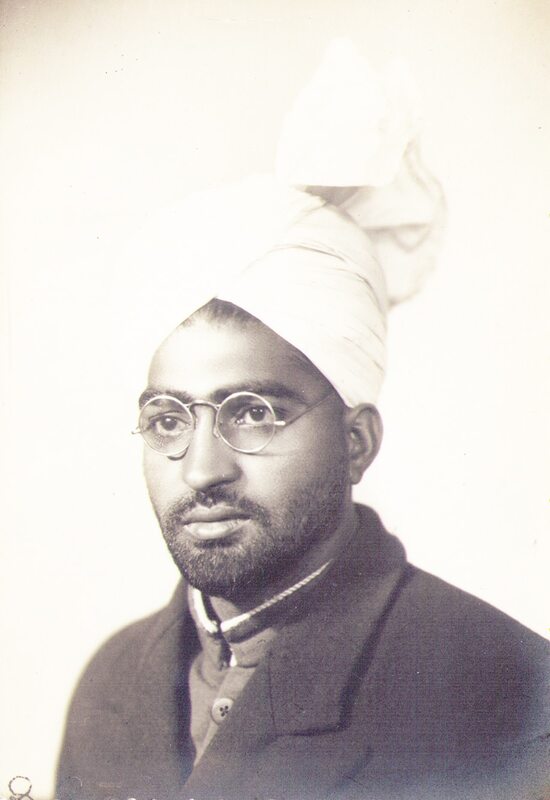 Karam Ilahi Zafar sahib arrived in Spain in 1946. He would sell perfume to earn livelihood for himself and his young family. Doing so, he would identify situations where he could start a conversation about a perfume that was not on his trolley; a perfume that never ceased to give its fragrance; the scent of Islam. 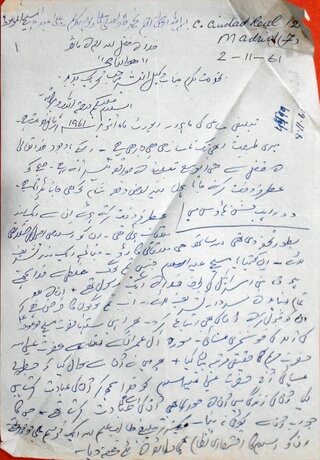 I hereby present my monthly report on tabligh activities for the month of October, 1961. I am still not feeling well, but despite ill health, I have been getting opportunities for tabligh. I go out to sell perfume in the mornings; even in the evenings occasionally. I met them one day while selling perfumes. I had given them a copy of the Philosophy of the Teachings of Islam, along with my business card. So, they paid a visit. I told them that Jesus Christ, who they mistakenly believe to be God, was actually a messenger of God sent to the Israelites. After him, was sent the Chief of all Prophets. I told them that it was now their duty to accept him. Then I gave them the good news of the advent of the Promised Messiah and told them about the status given to Jesusas and Hazrat Maryam in Surah Al-e-Imran. I then asked whether the disciples also worshipped Jesus like Christians do today. They could not come up with an answer. The letters are lengthy and narrate many interesting situations that he encountered while standing in marketplaces with his perfume trolley. Interesting as they are, they also reflect the challenges that he faced in the early days and years of the Spain mission. He goes on to narrate about a university student accepting Islam Ahmadiyyat, tabligh to a Chilean lady and accounts regarding other students who he had met while vending perfumes. Who would have known that these humble beginnings, directed by Hazrat Khalifatul Masih IIra would one day see fruition in the form of the Basharat Mosque: the first mosque built after centuries of Muslims being absent from the scene? Who would have thought that this first mosque, in the second phase of Islam, would be blessed by Allah in so many ways? Hazrat Khalifatul Masih IIIrt would lay its foundation stone; Hazrat Khalifatul Masih IVrt would inaugurate it and Hazrat Khalifatul Masih Vaa would, one day, address the worldwide community from this very mosque via satellite television. Hazrat Khalifatul Masih Vaa, with the grace and blessings of Allah, laid the foundation stone of a new mosque in Valencia, inaugurated it and opened it for a nation that had once embraced Islam. Islam is now there to embrace this nation. Huzoor’s continued guidance has borne such wonderful fruit that press & media, university students, research scholars, diplomats, government officials and people from all walks of life are now turning towards the Ahmadiyya Muslim Jamaat to get the true understanding of the true Islam.